All families have stories—some funny, some poignant—about family members, friends, and events from the past and even just last week or yesterday! Today’s holiday encourages people to gather together and share their stories, Oral storytelling has been part of people’s lives and culture since ancient times. It’s a wonderful way to stay connected to your own family heritage and build bonds that last forever. The stories your children will be telling start now in the everyday and special moments they share with others. Vacation began on Monday. So did the rain. Harry and Clare decided to go to Mars. After all it was only as far away as the family room and looked quite the same—“except for the volcanoes” that spouted lava all over the rug. Harry found traversing the alien landscape harder than Clare. He had to carry all the luggage while she carried the snacks; and while Clare ate the snacks, Harry was busy drowning in quicksand. Tuesday dawned gray and rainy. Fortunately, Harry and Clare “could ride a Pasta Linguini racer around an indoor course in the supermarket.” The field was fierce, and Harry told Clare to turn left, but Clare didn’t listen. “‘I’m driving,’” she said. “Following a dizzying skid through the frozen food, Clare let Harry park them in the checkout line.” And while Harry was hanging on tight with both hands as Clare directed, she ate both of their granola bars. Excerpted from Harry and Clare’s Amazing Staycation by Ted Staunton. Illustrations Copyright © 2017 Mika Song. Published by Tundra Books, a division of Penguin Random House Canada Limited. Reproduced by arrangement with the Publisher. All rights reserved. The downpour continued on Wednesday. The pool seemed the perfect respite, but just as Harry was about to transform into a dolphin doing spectacular dives, “he was captured by a pirate queen who made him walk the plank instead.” Harry’s fortunes only turned bleaker when later that day Teacher Clare caught Harry eating his snack during lessons and sent him to the principal’s office. Unfortunately, the principal looked a lot like Clare, and she passed a stiff sentence: “‘People who eat during arithmetic are not allowed to eat at all.’” Suddenly, Harry had an idea, but the principal—who mumbled through a mouthful—told him not to speak. Harry was not to be so easily dismissed, however. As soon as the principal released him, he grabbed a snack and headed up High Staircase Mountain. When he heard the Abdominal Snowman close at his heels, he quickly hid the cookies in his pocket. At dinner, Harry was able to sneak more provisions into his pocket and keep them safe as he performed a high-wire trapeze trampoline act on the couch and jumped through hoops for Clare the Lion Tamer. On Thursday the sun finally came out, and Harry and Clare took a jungle tour. The jungle “looked a lot like the park, except for the vines and wild animals.” As they ran through the thick vegetation, Clare and Harry avoided umpire bats and leaped over sandbox hippos on their search for a “‘sunken ship guarded by a monster octopus.’” All this time Harry held on to the idea he’d had. Then, just as they were being threatened by elephant hummingbirds, Clare realized they’d forgotten to bring snacks and said they’d have to turn their dragons around and go back. Harry, however, simply climbed off his bike dragon and pulled a baby carrot from his pocket. Clare was nonplussed. “‘Where did you get that?’” she wanted to know, but Harry just took something else from his stash and continued munching. “‘Is that a cookie?’ Clare asked. Harry swallowed. ‘Asteroid burger,’ he said….‘I have asteroid burgers and volcano sticks.’” Clare listened to her grumbling stomach and accepted some of both. She even accepted Harry’s idea that the treasure was in a cave under a mountain as long as an octopus monster still guarded it. In his imaginative tale of a rainy school staycation, Ted Staunton captures the sibling power structure with wit and wisdom. Readers will appreciate Harry and Clare’s daily—almost moment-to-moment—inventiveness that mirrors children’s supple imaginations. As a younger brother, Harry bears the brunt of Clare’s bossiness, but in the process begins to grasp where the real clout lies. By biding his time, he quietly advocates for himself and changes the dynamics to both of the children’s benefit. Staunton’s funny dialogue and situations ring true, as do the clever uses of everyday items and places to spur the siblings’ creativity. The final line offers a sweet future for this loveable brother and sister. Mika Song ingeniously transcribes Harry and Clare’s imaginings into action-packed illustrations full of personality. The sibling relationship unfolds through humorous scenes and animated facial expressions. Harry sinks in bubbling lava while Clare eats snacks at a safe distance; Harry and Clare get caught behind an elderly “racecar” driver in the grocery store: Harry is pulled up short by his changing fortunes on the diving board; and Teacher Clare teeters in her mother’s shoes. Song’s fresh color palette lends an open, airy feeling to the story, and her adorable siblings make for exciting companions for readers any day. Harry and Clare’s Amazing Staycation would be a cute addition to any child’s bookshelf for story times and to spur imaginative play. 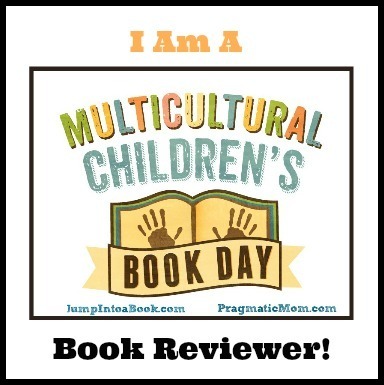 The book could also be a great jumping off point for discussions of empathy and understanding between siblings and/or friends. Discover more about Ted Staunton and his books on his website! You’ll find a portfolio of artwork, comics, and books by Mika Song on her website! Family game night is a great place to create memories that become future stories! 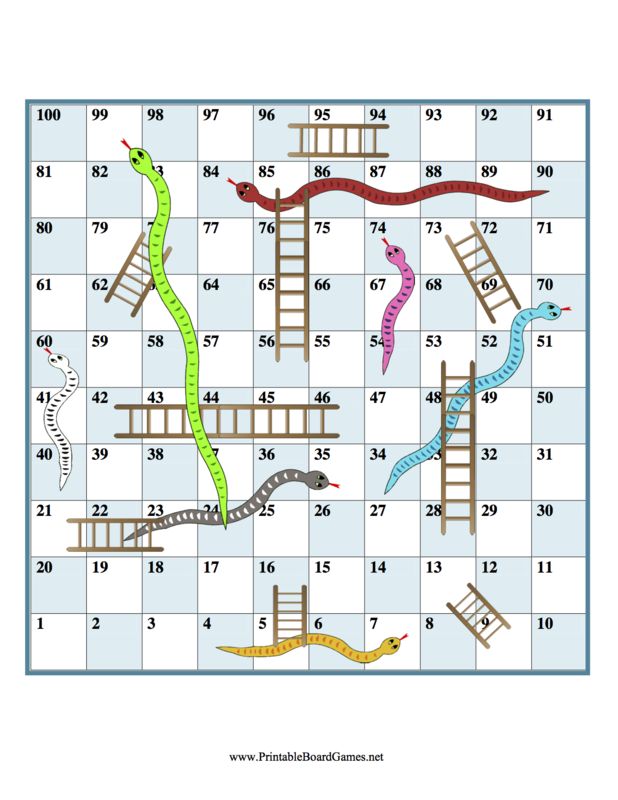 Here’s a printable Snakes and Ladders game for you to enjoy! Just watch out for that green snake!